During Monday night’s show in Manchester, England, Iron Maiden’s Bruce Dickinson took a tumble but was able to laugh it off afterward. During the performance of “2 Minutes to Midnight,” Dickinson had perched himself on top of a riser, but he lost his footing as he prepared to exit his spot and took a tumble downward to the front of the stage. Dickinson caught himself before he tumbled completely off the stage, but did give an exasperated flop at the end before picking himself up and resuming the performance; you can see the video footage below. 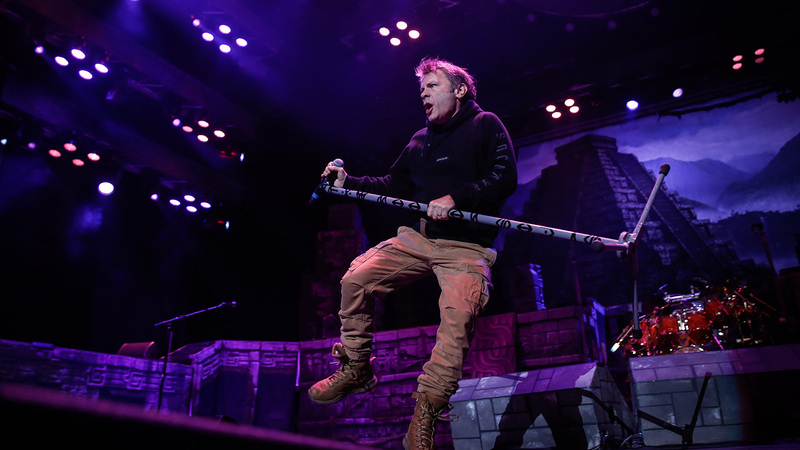 Iron Maiden’s “Legacy of the Beast” tour is currently making its way through England, with dates remaining in Birmingham and London. See the full list of dates here.